Test your I.Q. With one of our themed I.Q. Testers. 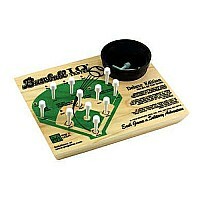 A wooden solitaire game with built-in storage cup for the pegs.